Tweaked to the discerning tastes of U2’s renowned guitarist, The Edge Deluxe is the perfect complement to his signature sound. A stalwart Fender amp user for decades, this signature model is an updated take on the classic ’57 tweed Deluxe used to craft his sonic identity on stages and in studios around the world. 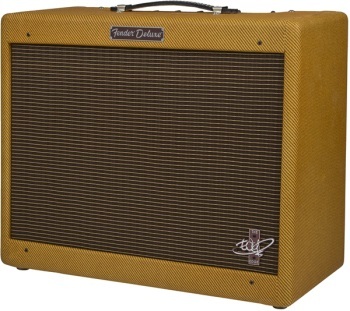 Whether played clean or crunchy, this amp produces the tone and articulation of the vintage Fender Deluxe amps that are an important part of his complex multi-amp and effects setup.